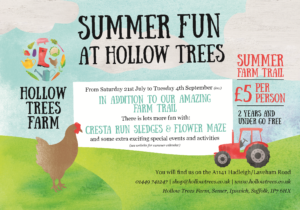 We can’t wait for the summer holidays to kick off because we’ve got so many exciting things happening in addition to our amazing farm trail. 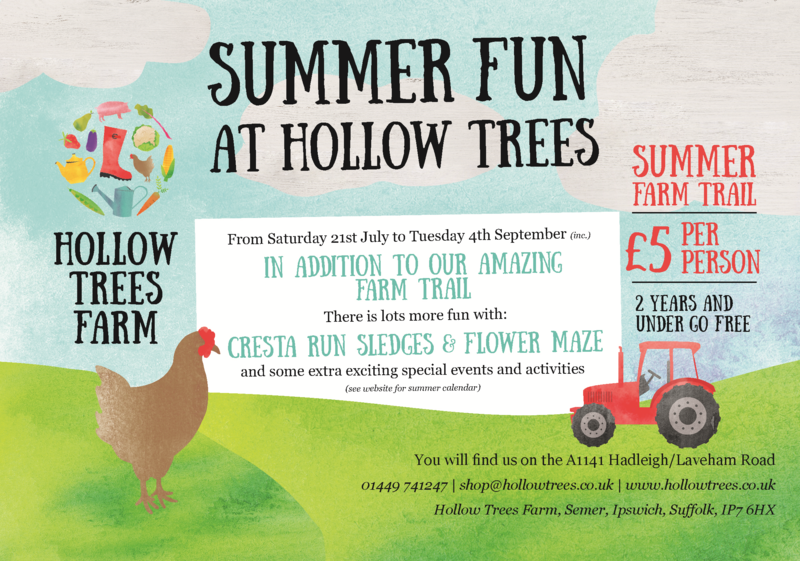 From Saturday 21st July – Tuesday 4th September, our summer trail will be open which includes our fantastic Cresta Run Sledges and Flower Maze! 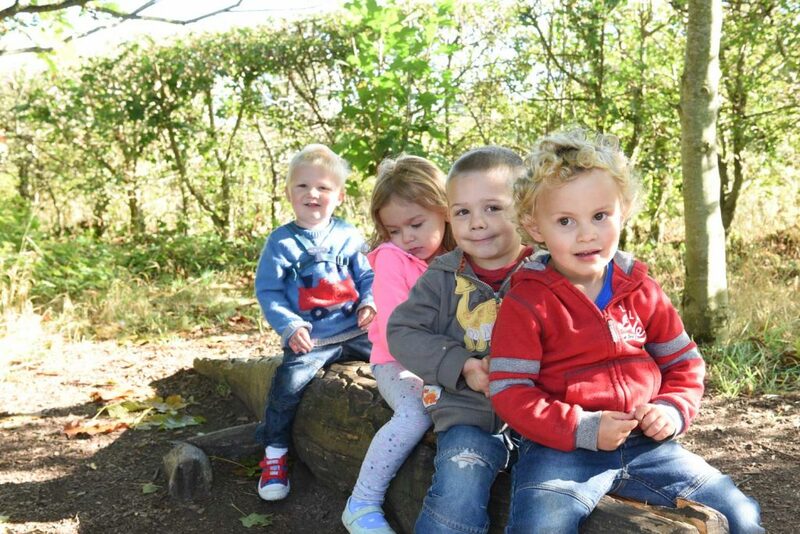 Plus we have lots of additional activities going on including an Inflatable Mega Slide, Story Time and Suffolk Wildlife Trust visiting us. For more information including dates of the events, follow the link…Extra Summer Fun!